The Pakistan’s minister for inter-provincial coordination, Mr Riaz Hussain Pirzada, declared today [15th March 2017] that there are plans to convert Gilgit-Baltistan – so far treated by Islamabad as a separate entity – into the country’s fifth province through a new constitutional amendment. According to the minister, the decision follows a recommendation from the Advisor of Foreign Affairs, Mr Sartaj Aziz. Gilgit-Baltistan, occupied by Pakistan since 1947, is a strategic region for trade relations with China, as the China-Pakistan Economic Corridor (CPEC) passes through it. 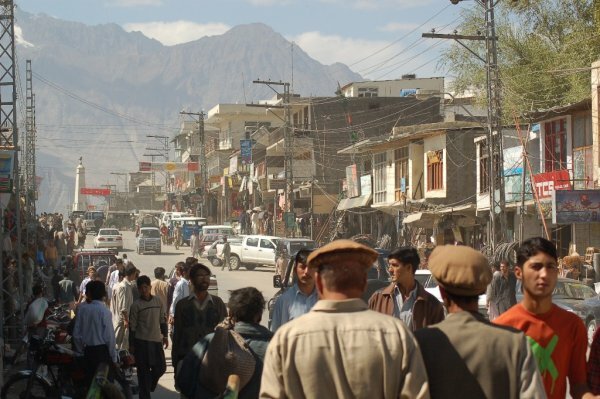 Last year, representatives from Gilgit Baltistan and other Pakistan’s oppressed and occupied territories gathered in Geneva to draw attention to human rights violations in their regions, including the imposition of CPEC without the assent of the local population. Pakistan today said it is planning to declare the disputed Gilgit-Baltistan region as the fifth province of the country, a move that may raise concerns in India as it borders Pakistan-occupied Kashmir. Paksitan’s minister for inter-provincial coordination Riaz Hussain Pirzada told Geo TV that the decision was on recommendation of a committee headed by Advisor of Foreign Affairs Sartaj Aziz. “The committee recommended that Gilgit-Baltistan should be made a province of Pakistan,” Pirzada said. He also said that a constitutional amendment would be made to change the status of the region, through which the USD 46 billion China-Pakistan Economic Corridor (CPEC) passes. Gilgit-Baltistan is treated as a separate geographical entity by Pakistan. It has a regional assembly and an elected Chief Minister. Balochistan, Khyber Pakhtunkhwa, Punjab and Sindh are four provinces of Pakistan. The move may raise concerns in India as the disputed region borders Pakistan-occupied Kashmir. It is believed that China’s concerns about the unsettled status of Gilgit-Baltistan prompted Pakistan to change its status.